The TV show Castle in the Sky is, apparently, very big in Japan. During a recent episode viewers stormed Twitter resulting in a record 143,199 tweets per second, something the social network is very pleased about. Not just because of the new record, you understand, but because it was able to withstand such a barrage without falling over, as it has tended to do in recent years when the site becomes "over capacity." 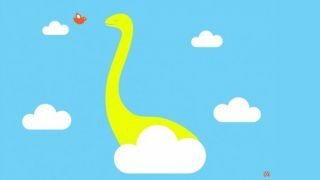 Despite the new one-second peak, which was more than 20 times the 5,7000 average, there was no sign of the infamous "fail whale" who has often appeared at Twitter.com when the service is down. In a blog post on Friday, Twitter said the new-found robustness is a result of diligent work on the site's architecture, enabling it to respond quickly to cope with dramatic surges in traffic during global events. In the post, the site pointed to the World Cup of 2010, when the excitement of football fans around the globe spilled over onto Twitter, causing the site to fall over regularly. Raffi Krikorian, Twitter's VP of Platform Engineering wrote: "After that experience, we determined we needed to step back. We then determined we needed to re-architect the site to support the continued growth of Twitter and to keep it running smoothly. Since then we've worked hard to make sure that the service is resilient to the world's impulses. We're now able to withstand events like Castle in the Sky viewings, the Super Bowl, and the global New Year's Eve celebration. "This re-architecture has not only made the service more resilient when traffic spikes to record highs, but also provides a more flexible platform on which to build more features faster, including synchronizing direct messages across devices, Twitter cards that allow Tweets to become richer and contain more content, and a rich search experience that includes stories and users. And more features are coming." The social network explains its methodology in exhaustive detail in the blog post, so feel free to dive in if you're short of something to do this Saturday evening.